3D Character Development Workshop is designed to fast-track comprehension of the concepts, tools, and methods of character rigging so that you can get past the technical hurdles and on to animating. This comprehensive guide is simple enough for non-technical artists to follow, yet presented in a holistic, comprehensive, best-practices approach so professional and student animators and artists can begin designing and animating their own fully-functioning characters. "3D Character Development Workshop: Rigging Fundamentals for Artists and Animators covers the basics of the tools, methods and ideas of character rigging and provides animators with an in-depth survey of best practices to help speed up the process of creating characters. 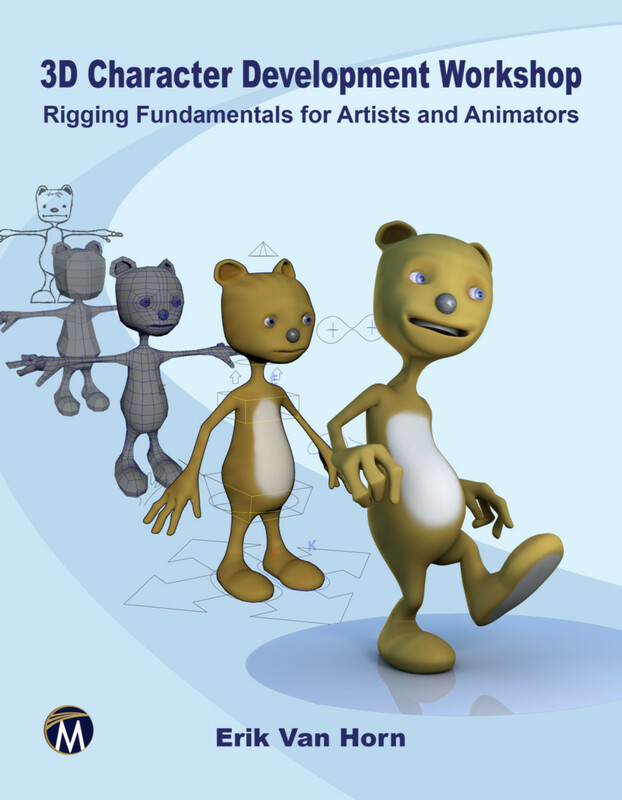 The book includes a Maya file disc of movies and sources of images from the book, while the book packs in color images, screenshots, downloadable examples, and color images supporting concepts of setups, texturing, and different rigging processes. No animation collection should be without this clear survey of the process, which offers a workbook perfect for classroom study or self-instruction alike." 2: Character UVs and Texture. 7: Character Animation Tricks and Tools. Erik Van Horn is an artist, animator and writer, and Program Director of Game Art at The University of the Arts. He has been Digital Art Director for Magic: The Gathering at Wizards of the Coast (a division of Hasbro), and Senior Training Specialist at Disney Animation Studios. Feature credits include Chicken Little, Meet the Robinsons, Bolt, Princess and the Frog, and Tangled.